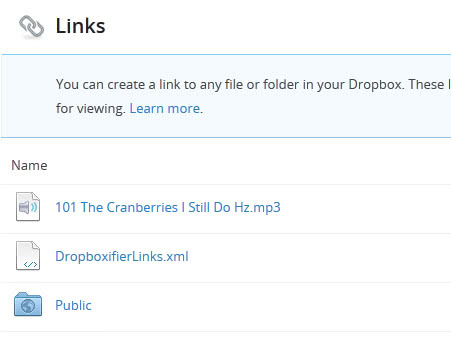 A public folder was automatically added to every Dropbox account as a means to share or make publicly available files on the Internet without having to do any configuration of sorts. While that was handy for web developers and other users who wanted to test stuff without having to go through a lengthy configuration process, it also resulted that some public folders were indexed in search engines such as Google or Bing. If Dropbox users did not pay attention to that, they could inadvertently make important documents or files available publicly. Dropbox in June announced that it would not create public folders for new users come July 31. The change however did not happen until two days ago, when Dropbox announced that the company has stopped creating public folders on new Dropbox accounts. Existing Dropbox accounts are not affected by the change at all which means that public folders will work just like before on those accounts. New Dropbox users are asked to use the new sharing feature instead which enables them to share any file or folder regardless of location in the account. While public folders are not created automatically anymore for new customers of the file synchronization service, it is still possible to create a public folder for those accounts. All you need to do is click on this link to enable the public folder for a new account. Most Dropbox users likely won't miss the public folder at all. Those who do, can enable it to use its functionality just like before. On a side note: if you want to find out which of your files and folders are publicly accessible on Dropbox, you can use this link to find out. The page on Dropbox lists all public files and folders, and provides you with options to remove the public flag from them. Well that’s bad news. Public folders are necessary. I used http://Dropbox18gb.com service to extend my free Dropbox account from 2 Gb to 18 Gb. I’m having this space forever free. It’s a good deal.